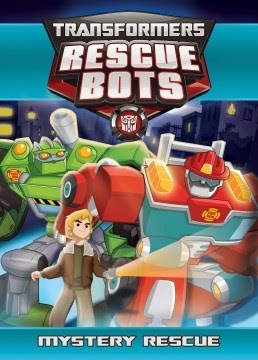 Transformers Rescue Bots: Mystery Rescue came on DVD in early September. My children enjoyed watching the episodes, as Rescue Bots, Chase, Heatwave, Blades and Bolder charged on protecting the town of Griffin Rock. Transformers had to rely on their courage and friendship. These Transformers got help from a family of first responders. The chief among them is a young boy named Cody, it is fun to watch the suspense as Cody and the Rescue Bot confront ghosts, mind control, gremlins and more. My granddaughter loves this -- the fireman is her favorite. My son loves Rescue Bots!! This will definitely be on his Christmas list! This looks like a great series for kids. Will have to check it out! Thank you for the review! This looks like a fun DVD that my little guys would enjoy. I would like to get this for my nephew Christmas gift. My friends son loves these. the kids would love this movie! I love the resurgence of Transformers - totally reminds me of my childhood, especially since my neighbours consisted of 4 boys who were obsessed with them! My son grew being a fan of transformers and now his son is a big fan too. I loved the Transformers growing up!